While this recipe is made with corned beef leftovers I have you covered if you want to buy a corned beef brisket just for this recipe! 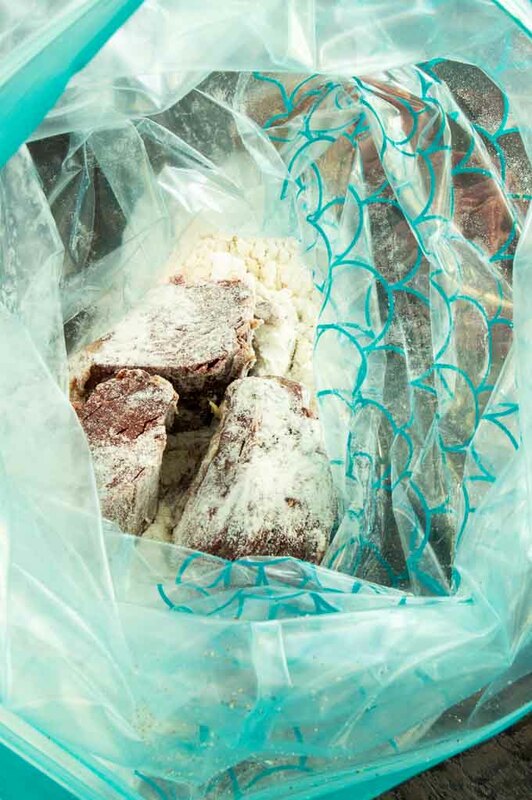 This week’s recipe is a part of the #freakyfriday series I participate in several times a year introducing you to some of my fellow food writers. This event is put on four times a year. A bunch of us get together and are given a name to find a recipe that fits the season and introduce our audience to someone’s website that you might not have known about! 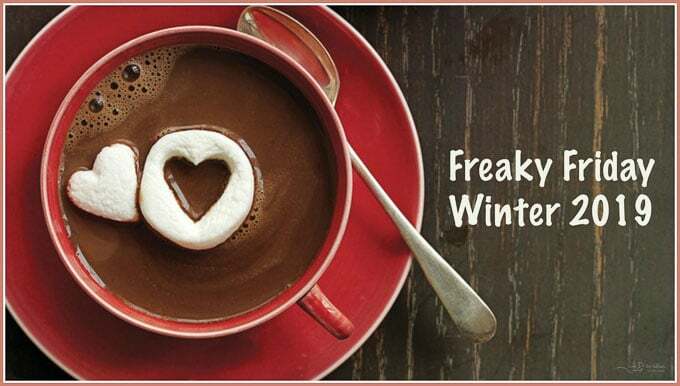 Be sure and check out all of the recipes from this Winter Freaky Friday edition at the bottom of this post. This time I have Debra from Bowl Me Over !! Debra is one of the nicest people I’ve met since I’ve had my food business. I met her last year at a foodie event and when we met in person it was like we had known each other forever. We ended up not only spending time at the event but also spent time in the off hours hanging out for cocktails and dinner!! 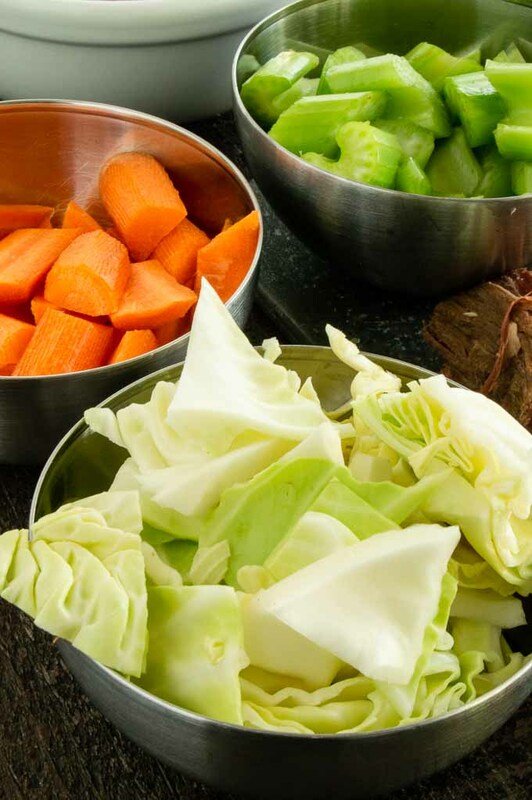 Let me tell you about the Corned Beef and Cabbage Soup recipe I made using Debra’s recipe, then I’ll share with you all the reasons you need to go see all of the great foods on her site! The corned beef soup is so easy to make but don’t worry, you don’t sacrifice full gourmet flavor just because it’s easy. Debra’s recipe uses a fresh brined corned beef that you need to cook but since I’d been working on a homemade corned beef recipe and had tons of leftovers it seemed like it was meant to be. 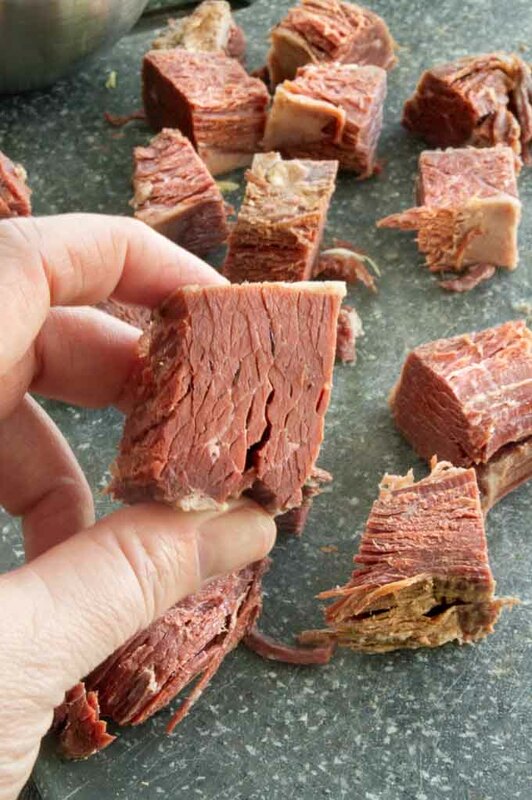 Corned Beef soup is flavored with so many layers. Dredge the corned beef in seasoned flour then brown the chunks so you get a nice caramelized edge. Cutting the meat and veggies to small bite sized pieces allows for quicker cooking. Sautéing the veggies before simmering them releases the flavors and softens them for fast cooking. Deglaze the pan with a deep dark beer to really add depth to the corned beef stew broth. Finally add stock and cook until the meat is nice and tender. Cook it in the oven or on the stovetop. If you don’t have leftovers you can easily make corned beef soup. The only difference is the cooking time. 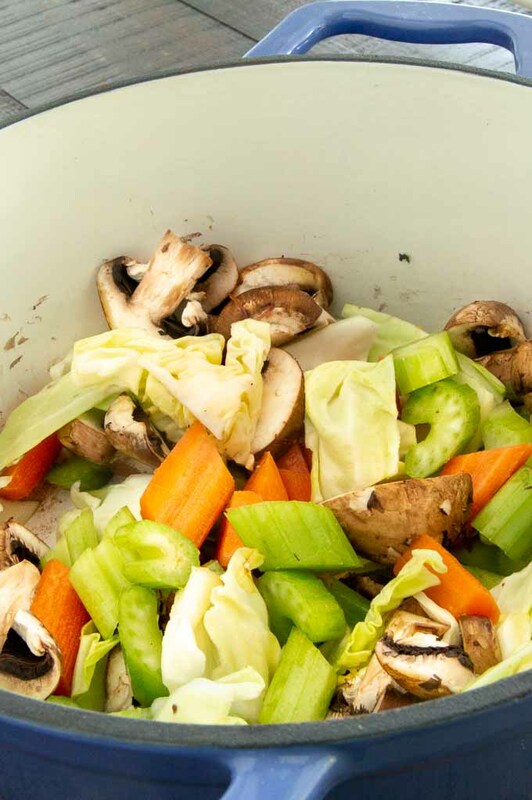 The soup will have to simmer longer to get the tender texture you want in a corned beef and cabbage stew. 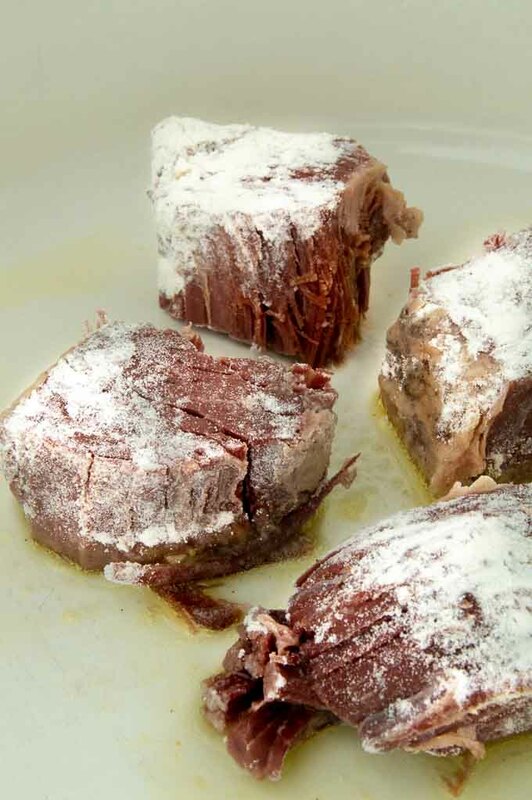 Common Questions you might have when making this corned beef leftovers recipe? Can I make this corned beef soup recipe without beer? Yes! You can make hearty cabbage and corned beef stew without beer. Replace the beer with additional beef or chicken broth. What exactly is corned beef? Great question. Corned Beef is a beef brisket that is pickled with a curing salt called Prague powder and other spices like allspice, cloves and cinnamon along with sugar and lots of water. Where would I get curing salt? You can find it in some supermarkets but I got mine at Amazon – Alton Brown used this one by Anthony’s …. look at that crazy neon pink color, hard to believe that it turns the corned beef red but it does. Why is corned beef red? Corned beef is turned that recognizable red color from the curing salt. There is a pink dye in it. The dye is pink to distinguish it from regular salt. It’s harmless but leaves that beautiful color during the brining process. Bowl Me Over- why you have to go see this site! 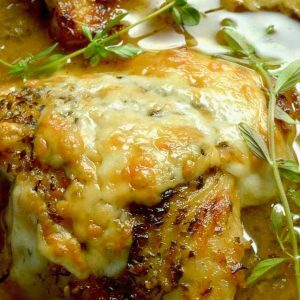 I had a hard time deciding what to make from her site as there were so many comfort food meals that made my mouth water! Her Teriyaki Chicken bowl was delicious and super easy…. seriously, the sauce was perfect, not too sweet and just the right thickness! She’s become quite the source for instant pot meals and has so many tips on using them. Seriously, if you are intimidated by pressure cookers you have to go check out her site. She will walk you thru all the things you need to know and you’ll walk away with complete confidence and some great recipes! She’s also know for all of her homemade jam recipes. She brought some to the foodie event we were at. 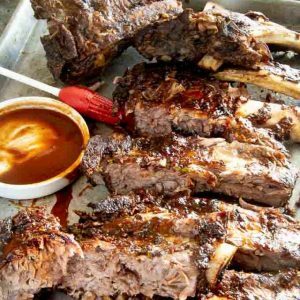 Trust me when I tell you these are the recipes you want to make for gifts for your neighbors, friends or just to have for your family! They are not only tasty, but are much easier to make than you think. PIN THIS TO HAVE TO USE ALL OF YOUR LEFTOVER CORNED BEEF! Hashtag any recipes you make from West Via Midwest #westviamidwestrecipes or tag me @michele_westviamidwest on Instagram and I’ll share your recipes on our stories! 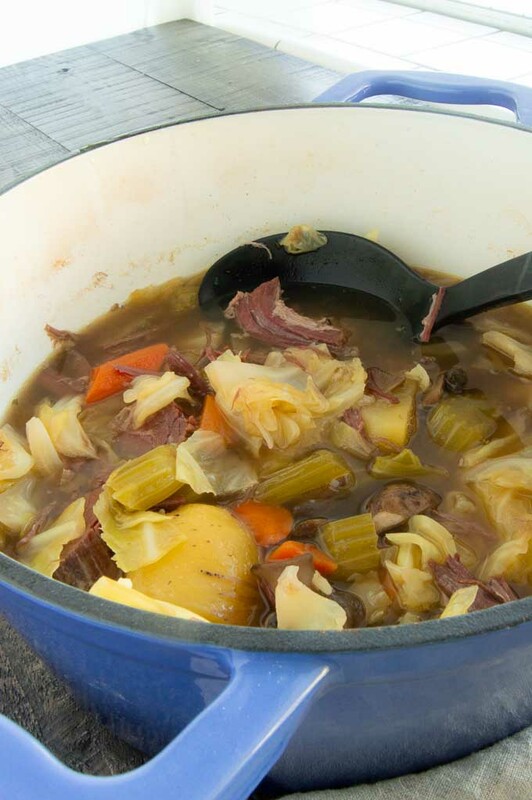 This recipe using Leftover Corned Beef makes the most delicious Corned beef and Cabbage Soup. 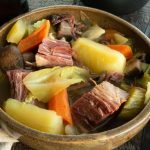 Filled with cabbage, mushrooms, celery, carrots and onions surrounding big chunks of corned beef in a deep rich flavorful stew broth. In a large stock pot over medium heat add two tablespoons olive oil. Add the beef mixed with flour. You'll want to get a good crust on all the sides. About three minutes one side, give it a good stir, 3 minutes again, remove from the pan. 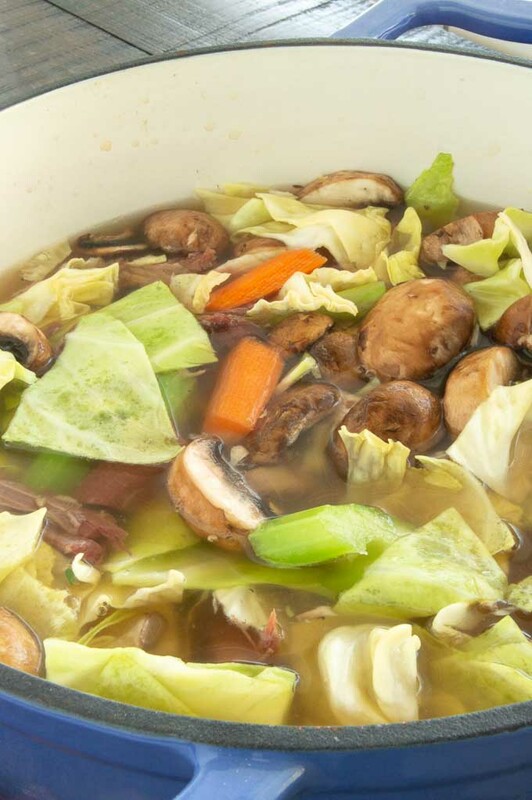 After you've added the vegetables, add the beef stock to cover the vegetables. Increase the heat to medium high and bring it to a boil. When you have all of the bits off the bottom of the pan, put the beef back in the pan with the vegetables. It will seem like a lot, but don't worry, the vegetables will cook down. Once it begins to boil, cover it tightly. Place it in the preheated oven 45 mins. ***STOVE TOP*** Once it begins to boil, reduce the heat to low and cover it tightly. Simmer for about 45 mins hours until the carrots and potatoes are tender. Check it occasionally and just give it an occasional stir. If not using cooked corned beef follow these instructions. Flour as directed in the recipe and follow the instructions for browning the edges. You will need to increase the cook time to 90 mins or until the corned beef is soft and tender. Mmmm this soup is perfect for St Patty’s day!!! It looks amazing!!! I almost bought corned beef last week at the store. After seeing this soup, I ‘m adding it to my shopping list. No way I can wait until St. Patrick’s Day for leftovers. Looks delish! I know what I am making when we have leftover corned beef!!!! Looks SO GOOD!!!! What a tasty way to use corned beef! I bet the beer adds a nice flavor. Definitely keeping it in this recipe! Wow, this soup is over and above amazingly. We love corned beef and I don’t know why I don’t make it more often. This bowl has me seriously drooling and I can’t wait to see your brined version! 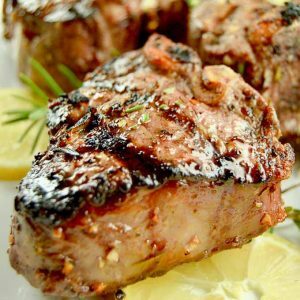 Love, love, love that you picked this recipe to share for Freaky Friday! this is one of my most favorites and your soup looks just fabulous! Thank you also for the kind words and shout-outs, it’s was such a pleasure to meet you in Utah and you’re right, it’s like we’ve been friends for years!!! Thank you my friend!!! I am not usually a corned beef kind of girl, which is okay with Brooks because he gets to eat my portion, but I totally disappointed him by eating mine and having seconds! So good!! You’re so right?! Why do we not enjoy corned beef and cabbage more often?! Its so delicious and I love the idea of turning that great meal into a delicious soup! I love a big ‘ol bowl of comfort like this during the winter months, and the fact that this can be used on St. Patrick’s Day makes me really happy, too! Now if I could just get a serving of it right now from where I sit in bed currently, I’d be happy as a clam! ALSO I had no idea that corned beef gets its color from the curing salt–so cool and random! I just love how simple this is to make! I’m always looking for ways to re-use leftovers from the holidays! This is just comfort in a bowl! We’ve been having some (relatively, for Phoenix) cooler temps here and I could easily make a big batch of this knowing what a hit it would be! I love trying new soup recipes. This one looks so different from any others that I typically make and I’m dying to try it. Definitely making THIS with my St. Patrick’s Day leftovers this year! These soup sounds amazing! Pure comfort food in a bowl! Pinning it to make it with my leftover corned beef. 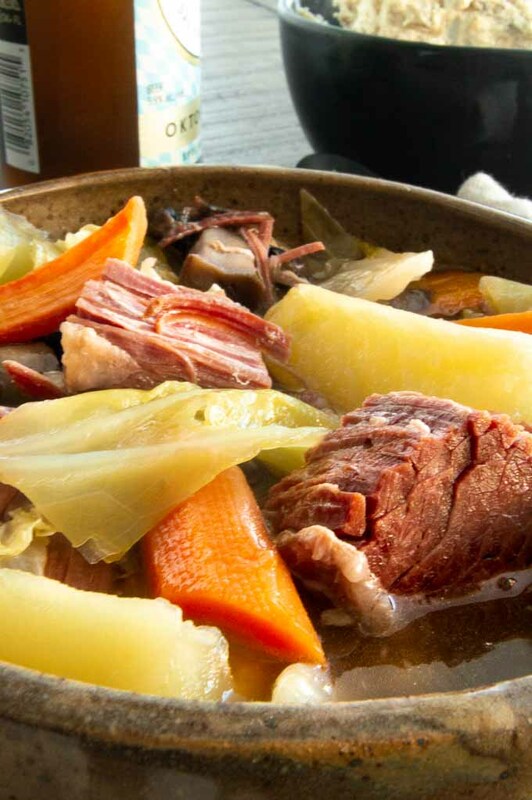 We LOVE corned beef and cabbage at our house, and eat it a few times a year. 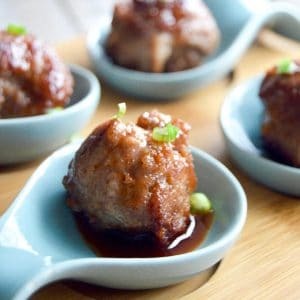 This is a great way to use leftovers (if I have them!! LOL) and I will make extra this year just to give it a try!